Infectiously rowdy, teeming with trendsetters and awash with jaw-dropping architecture, Barcelona is a fusion of tastes and cultures, mountains and seashores. Overtly modern, yet fiercely proud of its Catalan heritage, Barcelona is a combination of eccentric neighbourhoods and green spaces, perfect for pedestrians. A morning ride on the cable car up Montjuic mountain is a perfect start to the day, whilst an afternoon exploring the Barri Gòti, Barcelona’s street art adorned gothic quarter, should set you up for lunch. Barcelona is the largest city on the Mediterranean coast and, after the capital Madrid, the second largest city in Spain. Flying to Barcelona include Ryanair, Aer Lingus and Vueling Airlines. Flights to Barcelona land at the airport Barcelona (BCN) . How’s the weather in Barcelona in April? Barcelona’s extensive public transport network is fantastic. It includes a fleet of Metro trains, buses, trams and NitBus, essentially a night bus service. All public transport tickets cost €2.15 per journey, but travel passes like Hola BCN and T10 can offer some big savings. Hola BCN! passes can be purchased for two, three, four or five day periods and start at €14. T10 passes cost just €10 and cover 10 individual trips. The Metro is the most popular form of transport for tourists and locals alike. But, if you want to take in more of the city, the tram is a great way to navigate Barcelona’s more central neighbourhoods. You won’t struggle to find a taxi in Barcelona, they are literally everywhere. After hailing one down, take a look at the price list, it should be on display by law. Bear in mind some departure points, like airports, are include an extra surcharge. You’ll also find that if you’re travelling with large items of luggage you’ll incur a €1 charge too. Despite heavy traffic and complicated one-way streets, many tourists opt to drive in Barcelona. Public transport in the city is good enough that you don’t have to but if you want to explore further afield, a car is essential. The Costa Brava has some exquisite beaches and beautiful villages that are a shame to miss, especially if you’re spending more than just a few days in and around the city. Pedestrians are well catered for in Barcelona. Predominantly flat, and with a series of pedestrianised zones, walking in Barcelona is actively encouraged. Beyond La Rambla, Barcelona’s Old Town is definitely best appreciated on foot. Cyclists are very welcome too. The city has a large number of dedicated bike lanes for safer cycling, and bike rental shops are numerous too. La Rambla is Barcelona’s most famous street and stretches for over a kilometre through the centre of the city. With countless shopping, eating and drinking opportunities, no trip to Barcelona would be complete without taking a stroll here. Stick to the northern end of La Rambla after sunset, it can get somewhat lively further along after dark. Human statues are famous on La Rambla and this pedestrianised stretch is home to some of the most creative, dedicated and unusual performers you’re likely to find anywhere. Barcelona’s seven beaches were created using sand shipped in from Eygpt, but they soon became one of the city’s defining features. During summer, these oases offer a perfect escape from the heat. Nova Icaria Beach is great for water sports, Caldetes Beach is one of the most tranquil, while Barceloneta Beach is geared up for tourists. Catalonian cuisine is derived from land and sea. This rich culture has its heart in Barcelona and the city is a hot bed for traditional dishes and Catalonian chefs. Catalonia is known throughout the world as a centre for gastronomy. Grilled vegetable, meaty sausages and tender pulses feature heavily in Catalonian cooking, as of course does seafood. Try fideuà, the Catalonian version of seafood paella. Barcelona is Spain’s cultural capital. The art scene is alive, you’ll sense it every time you walk down the street. But its galleries and museums are the best place to understand how the city forged its vibrant art scene. Barcelona plays host to many street parties throughout the summer, and beyond. These are a great way to soak up the atmosphere and culture of this electric city by the sea. The best thing about Barcelona’s summer festivals is the price. They are absolutely free and a great source of entertainment for the whole family. 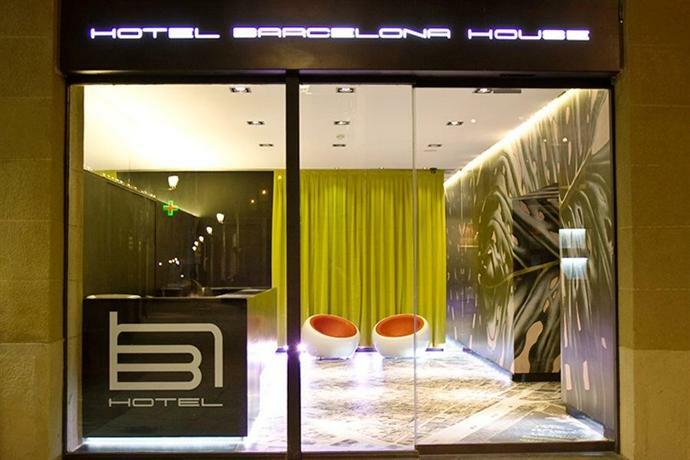 It is Barcelona’s most iconic structure, and it absolutely lives up to the hype. Designed by artist Antoi Gaudi in 1883, he worked on the project for 43 years until his untimely death in 1926. The vast cathedral is famously unfinished. Thanks to numerous set backs, the final date for completion has been set for 2026, 100 years after Gaudi’s death. Gaudi’s famous cathedral, over 100 years old but still unfinished. A landscaped garden with stunning city views and Mediterranean flora. Impressive and grand, landmark buildings surround this imposing central square. Historic houses, home to some of the artist’s greatest work. A wide range of exotic animals in a natural setting. Large water fountain with an impressive light and sound display. A collection of Catalan art in a stunning hilltop palace. Barcelona’s most famous pedestrianised street. Explore a collection of Gaudi’s artefacts in his former home.